I hate how my coffee table is cluttered with remotes for the tv, cable box/dvr, dvd player, blu ray player, etc. 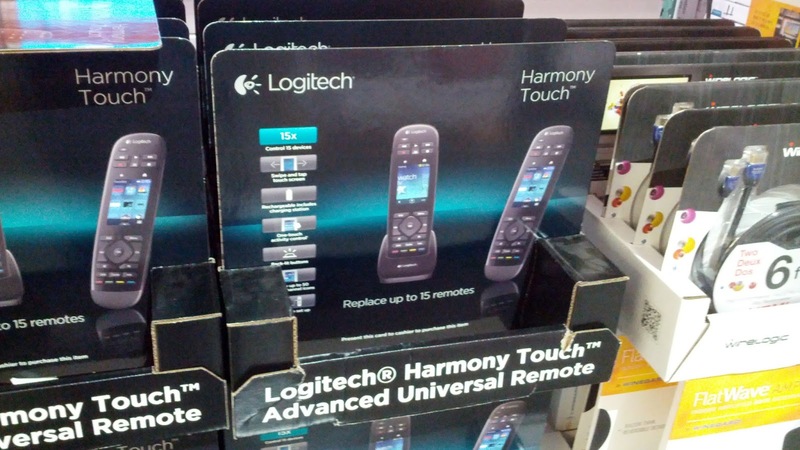 The Logitech Harmony Touch Advanced Universal Remote allows you to put those remotes away and control all those devices with just one remote. 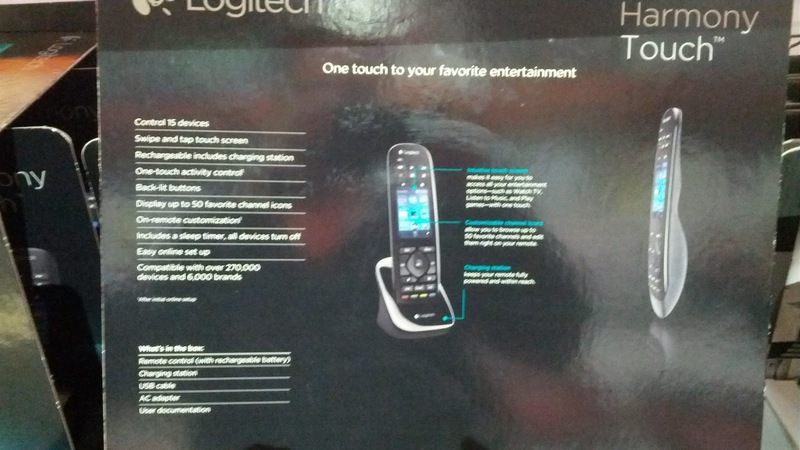 The Logitech Harmony Touch Advanced Universal Remote not only can control all of your devices, but it has a touch screen which can be customized to make flipping through channels, watching tv, and controlling everything else that much more fun. It's rather easy to customize the settings of the remote so that you can take control all in the palm of your hand...it's like having a pocket-size R2D2! The Logitech Harmony Touch Advanced Universal Remote is all you need to control all your devices. The Logitech Harmony Touch Universal Remote allows you to consolidate the remotes for several devices into one primary remote. 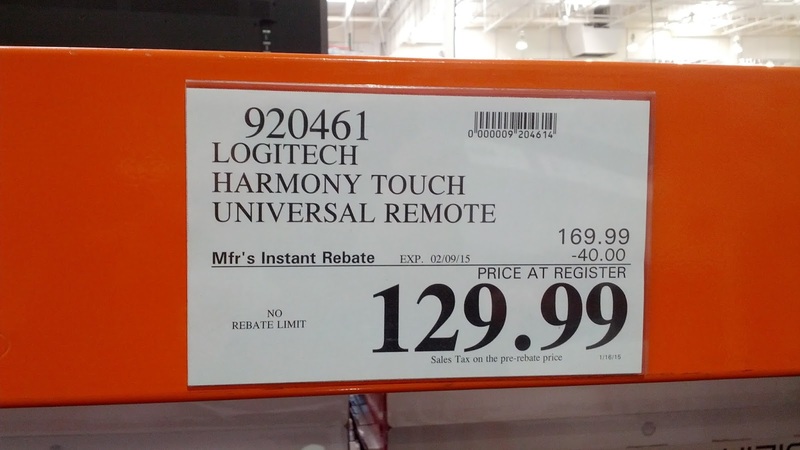 Get control of all your devices with the one and only Logitech Harmony Touch Universal Remote now at Costco with instant rebate. One touch to your favorite entertainment. Makes it easy for you to access all your entertainment options - such as watch TV, listen to music, and play games with one touch. Customizable channel icons allow you to browse up to 50 favorite channels and edit them right on your remote. Charging station keeps your remote fully powered and within reach. 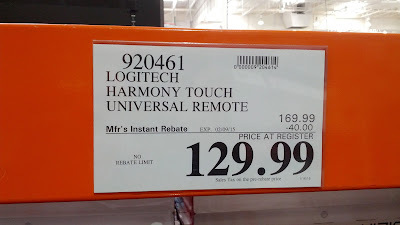 Update: I was just notified that the Logitech Harmony Touch Advanced Universal Remote is now available for $99.99 at the Costco in East Peoria, Illinois. Thanks Bob for letting us know of this deal!